A rectangle pendant with 18" adjustable silver chain. 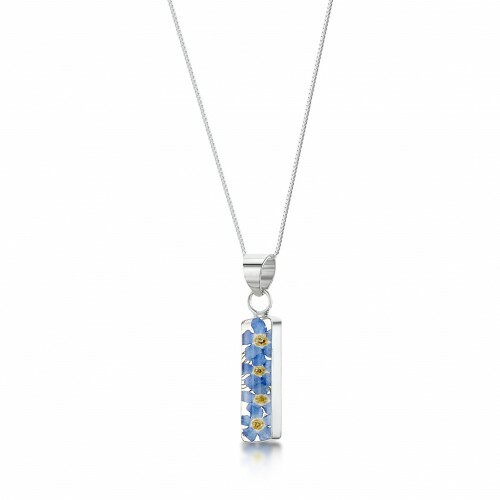 Our beautiful collection of sterling silver jewellery is made with real forget-me-not flowers.The forget-me-not flowers have been expertly cultivated, briefly dried & then set in resin and sterling silver to be cherished for years to come. 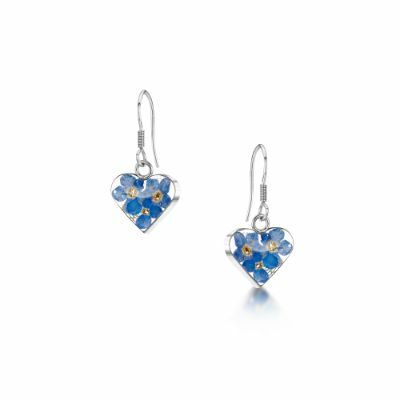 Our beautiful collection of sterling silver jewellery is made with real forget-me-not flowers. 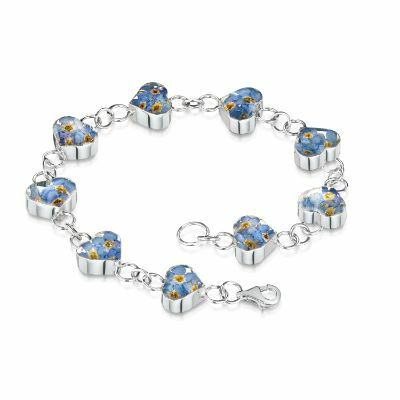 The forget-me-not flowers have been expertly cultivated, briefly dried & then set in resin and sterling silver to be cherished for years to come. Bar Length: 21 x 07mm.